This 2017 Nissan 370Z has traveled a mere 4,375 miles and is in wonderful condition, offering tasteful style and unparalleled Nissan-quality. Presented in Gun Metallic, this Z looks visually striking, especially with the complimenting gloss black wheels, carbon fiber deck spoiler/mirror caps, and lower bumper aero fascia. The Yokohoma Advan high performance tires assist in the poised handling that the 370Z is known for. Under the hood is the potent 3.7L V6 engine, mated to the smooth automatic transmission, offering 332hp/350lb ft tq! The sports cat-back exhaust system and cold air intakes offer a great improvement in power and exhaust note, reminding the driver that they are piloting a unique car. Moving into the interior, this 370Z offers excellent comfort, with the sport seats fully adjustable for spirited driving and road trips. The upgraded Pioneer radio offers Bluetooth-capability and auxiliary input. Hit the red, start button and this Z roars to life, the full gauge display monitoring the 3.7L, a nod to its sporting heritage. 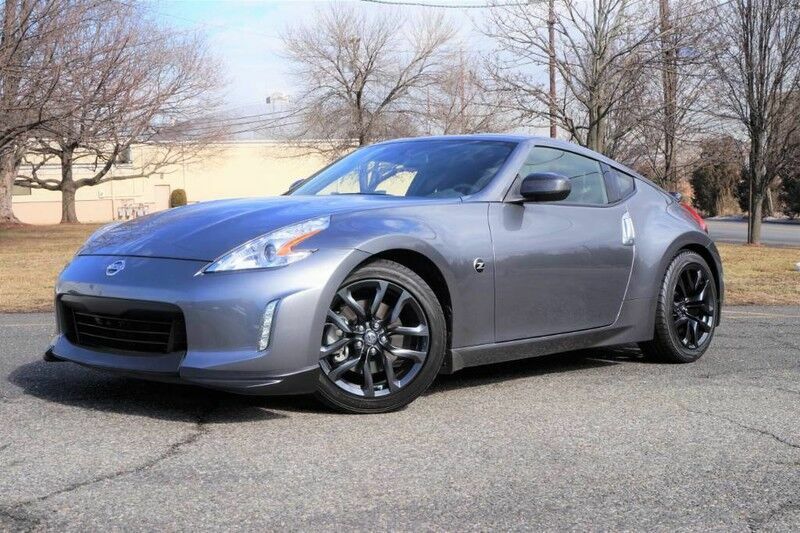 If you are looking for a car with passion, style, and all-around performance at a great price, look no further and call today, before this 370Z is gone!